This unique exhibition presents married couple, Sedrick and Letitia Huckaby’s work side-by-side highlighting their individual and mutual interests in the ties that bind generations in the black community.Textiles play a large role in these recent bodies of work, as they have in the histories of the black community in America. From the cotton picked in southern plantations to the intricate patchwork quilts made from scraps of old clothes, there’s resilience and resourcefulness that is woven into the threads of black history in the United States. Sedrick Huckaby (b. 1975, Fort Worth, Texas). Boston University (BFA, 1997); Yale University (MFA, 1999). Huckaby has been the recipient of numerous prestigious awards including a Guggenheim award, Joan Mitchell Foundation Grant and a Lewis Comfort Tiffany Award. Most recently he was named the Texas State Artist for 2018. His works are in the collections of American Embassy in Namibia, San Francisco Museum of Modern Art, Amon Carter Museum of American Art, Fort Worth, Texas, African American Museum, Dallas, Texas; McNay Art Museum, San Antonio, Texas; Minneapolis Institute of Arts, Minneapolis, Minnesota; Museum of Fine Arts, Boston, Massachusetts; Nasher Museum of Art at Duke University, Durham, North Carolina; Whitney Museum of American Art, New York, New York; and the Tyler Museum of Art, Tyler, Texas. SLetitia Huckaby, Letitia Huckaby has a degree in Journalism from the University of Oklahoma, a BFA from the Art Institute of Boston in photography and her Master’s degree from the University of North Texas in Denton. 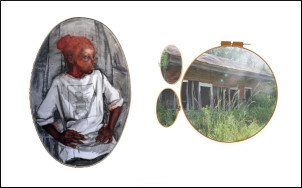 She has exhibited at the Dallas Contemporary, the Galveston Arts Center, Renaissance Fine Art in Harlem curated by Deborah Willis, PhD, the McKenna Museum in New Orleans, the Camden Palace Hotel in Cork City, Ireland, and the Texas Biennial at Blue Star Contemporary Art Museum. 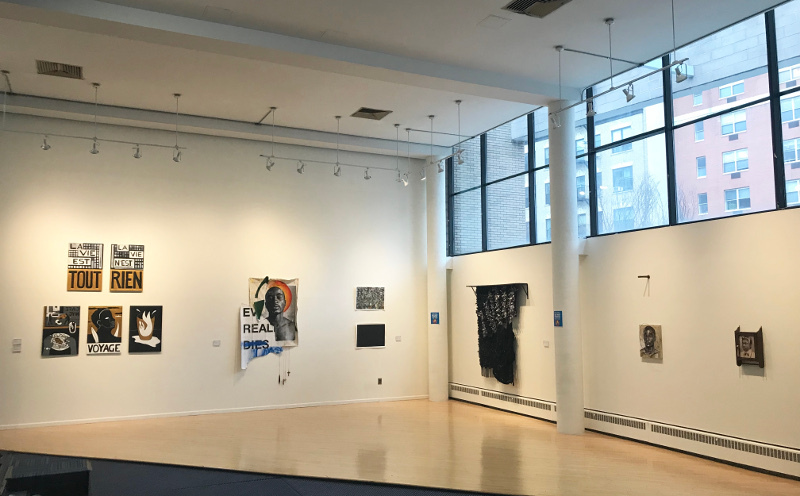 The work is included in several prestigious collections; the Library of Congress, the Art Museum of Southeast Texas, the Brandywine Workshop in Philadelphia, and the Samella Lewis Contemporary Art Collection at Scripps College in Claremont, California. Letitia is represented by the Liliana Bloch Gallery in Dallas and the Anzenberger Gallery in Vienna, Austria.